This section provides FAQs for copyright and fair use as they relate to teaching and learning. NYU Libraries keeps a resource page, and for consultations on which materials are acceptable for course use, please contact fairuse@nyu.edu. A. Unfortunately, no. While we sympathize with the cost of course texts, copying an entire text will most likely violate copyright. You can secure the appropriate copyright permissions, talk with a NYU librarian about reserving the text, or talk to a NYU copyright librarian about how you might use some of the text under Fair Use guidelines. For more information on copyright and fair use, you can send an email to fairuse@nyu.edu. Also, NYU Classes has an easy way to link to e-copies of texts available through Bobst. A. Probably not. Judicious use of selections from a copyrighted text for teaching and learning purposes is mostly likely protected under Fair Use. If you are concerned about copyright violations, please refer to the library resources or get in touch with an NYU copyright librarian at fairuse@nyu.edu. A. According to NYU’s Scholarly Communications Librarian, there are almost no copyright restrictions when it comes to in-class instruction, so you probably do not need to worry about screening a copyrighted film during your class time. However, we do encourage you to reach out to The Library Copyright Office at NYU Libraries or fairuse@nyu.edu for more information. A. Although NYU Classes is restricted to certain users, e.g., NYU faculty, students, and staff, and is not a public-facing website, you are still expected to uphold copyright permissions for anything that you post to your site. 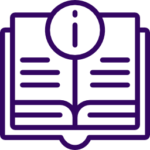 If you have questions about copyrighted materials and fair use guidelines, it is a good idea to first check your plans with The Library Copyright Office at NYU Libraries or fairuse@nyu.edu. A. No, you haven’t. The responsibility for copyright violations rests with the entity that posted the original material. It is perfectly fine to link to it. However, you should be aware that the website may eventually be asked to take down the copyrighted materials and you will no longer have access to them. To guarantee that the material you’re linking to remains accessible, consider asking an NYU librarian about linking to articles and databases purchased by NYU Libraries or placing the material you need on reserve. A. Copyright rests with the author even when the author is your student. If you’re looking to use a collection of student work for educational purposes, e.g., as a text for a future class, then you should aim to secure permission first. It may be that this use case is protected under Fair Use, but it is a good idea to check with The Library Copyright Office at NYU Libraries or fairuse@nyu.edu before you do so. A. Good question! There are so many helpful resources on copyright and fair use issues in higher education. To get started, take a look at the resources available at the Stanford Copyright and Fair Use Center, Scholarly Communications @ Duke, Columbia University’s Copyright Advisory Office, and, of course, The Library Copyright Office here at NYU. A. It is best practice to restrict NYU Web Publishing sites and blogs containing student work to the members of that class, or to the larger NYU community. It is also best practice to go over copyright and fair use issues before your students start blogging. If you’re interested in guidelines and tips for using others’ work in online spaces, there are many great resources available to help you! For helpful explanations of copyright and the “four factors” of Fair Use, take a look at The Library Copyright Office at NYU Libraries. For best practice tips, take a look at the University of Minnesota’s Guidelines and Best Practices for Fair Use. A. Great question! You can keep up-to-date with issues concerning copyright and fair use in higher education by checking in with the blog at American University’s Center for Media & Social Impact or by browsing through the available resources at HASTAC or Scholarly Communications @ Duke. For additional information, please contact fairuse@nyu.edu. A. We understand that showing films in class takes up valuable learning time. Also, scheduling a group session outside of class is often not convenient for all class members. There are several recommendations for making films accessible to students. Contact Avery Fisher (http://library.nyu.edu/afc/staff.html) to learn about the streaming island service. This enables a film to be made available on up to 10 library stations simultaneously, meaning that up to 10 students can watch a film within an overlapping time frame. Place a copy of the film on reserve for students to check out. Check the list of resources on the Databases tab to see if NYU Libraries has licensed the film that you have in mind. If so, the film might be available for streaming online so that students can watch the film in their own space.